The Jonas Brothers are reportedly set to release their comeback single 'Sucker' on Friday (29.02.19). The band – made up of siblings Nick, Joe and Kevin Jonas – sent their fans into overdrive after blacking out all of their social media profiles. 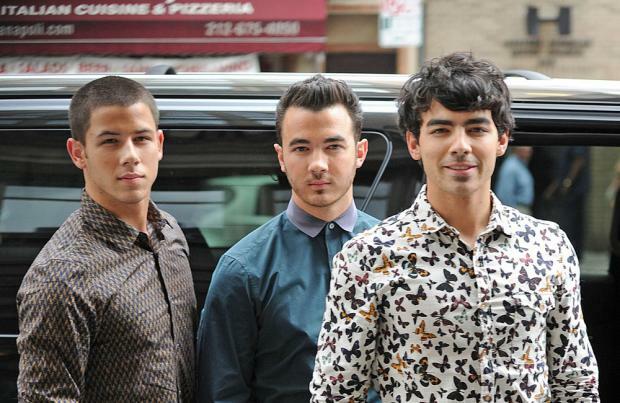 And now Us Weekly is reporting that their first new music since 2009's 'Lines, Vines and Trying Times' is set to drop this week, with their new record, which is said to be titled 'JONAS', set to follow. Though the 'Lovebug' hitmakers haven't commented on the speculation, Years & Years frontman Olly Alexander just confirmed the reunion was happening after Nick let the news slip to him. And on whether he plans on getting into the studio with the trio, he said: "Oh my God, I wish! I would do anything I could do to be involved in that. I'm available if he still wants me." There has also been talk of the three of them working on a documentary to accompany their record.